Earlier this year I picked up some hardcover cases with pluck foam from Sam’s Club and did a little review-ish thing. I decided to return the cases to the store, because really they were much too big. I wanted something I could fit inside a backpack along with my rules manuals, dice, etc. Not feel like I was using carry-on luggage every time I went to play some games. In the end I decided to buy the Citadel Skirmish Case, which I’ve liked quite a bit. You can fit a lot of minis in there and it fits in a backpack. However with two Blood Bowl teams (with 4 big guys among them!) and then with my Middle-earth Strategy Battle Games minis, things started to get a bit crowded. I also didn’t feel like hauling around the bulk of my miniatures collection all the time, too many eggs in one basket. 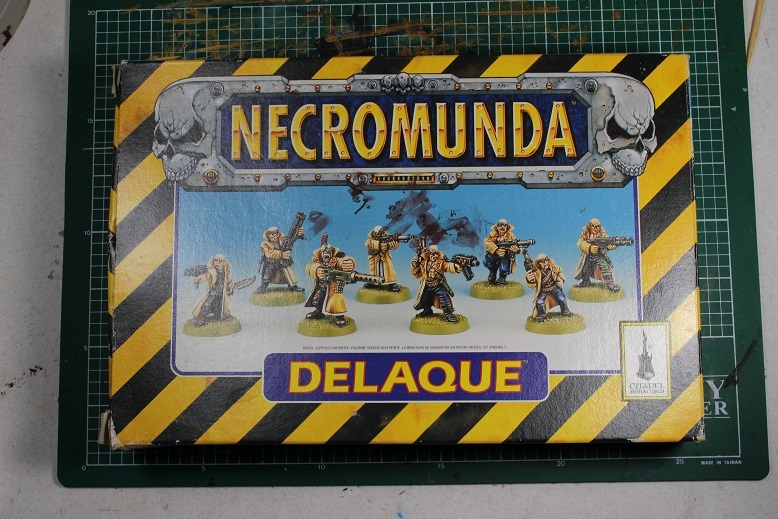 I started researching the Kill Team Case Games Workshop produced when Kill Team was announced. It’s basically the one of the accordion foam trays in the Skirmish Case but in a zippered case. In a Facebook thread about the product, people mentioned they didn’t like how soft the foam exterior was, and one guy mentioned picked up a little case from Harbor Freight for $15. Fast forward a couple months and I’ve picked one up myself. So… when I first started this site, it was mostly about terrain, and occasionally about minis. Then, Games Workshop went and announced that they were re-releasing my favorite game, Blood Bowl, complete with all new miniatures. As a result, for more than a year now, I have focused mostly on new minis for Blood Bowl, along with occasionally writing about other games. This has been a little bit of a dilemma for me since I dislike painting minis so much. What got me into the hobby in the first place was pictures of really awesome terrain that I saw on websites like TerraGenesis. While keeping up with Blood Bowl releases, I got away from the part I liked most about this hobby… the terrain. Well, it’s been 5 day since the last episode of Under the Brush, and despite my wrist being stubborn and not wanting to heal, I managed to get a little done this week. 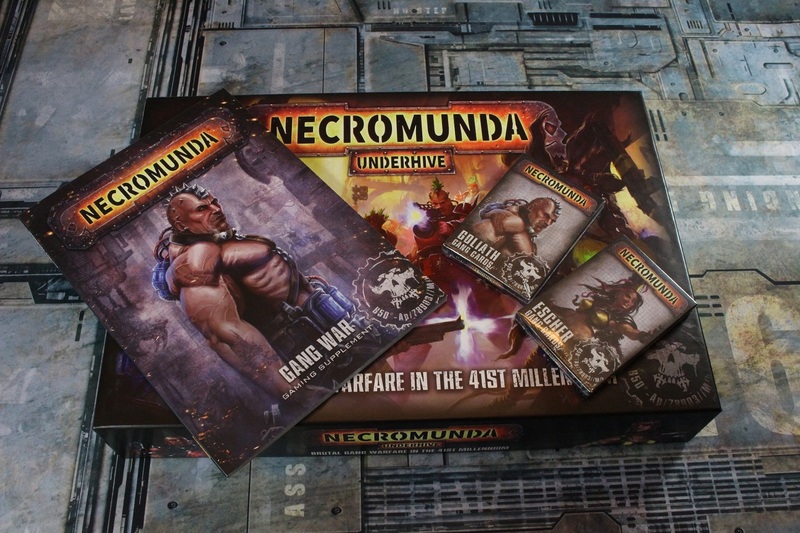 The NOVA Open tabletop wargaming convention started today, and with the convention came a closer look at the upcoming re-release of Necromunda from Games Workshop. As reported on the Warhammer Community website, Games Workshop demoed the game for attendees… and my how the game has changed. 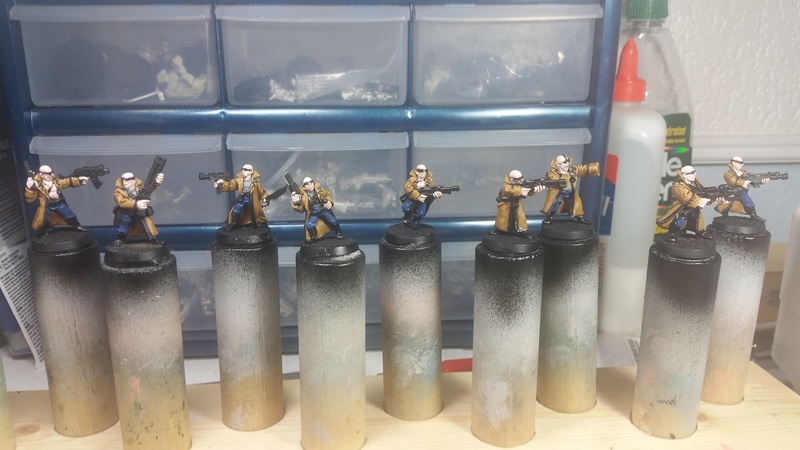 Well, it’s been a couple of weeks since the previous post about painting my Delaque gang, so I thought I would check in. Admittedly, there has been very little progress. Between the sprained wrist, which is healing slowly but surely, and the drama of Hurricane-pocalypse here in Texas this week, there really hasn’t been much time for painting. I did, however, get about an hour or so to paint this afternoon… after the power came back on at the house. I want to start this post with the following disclaimer: I am pretty new to gaming mats. I have used a couple of custom printed neoprene Blood Bowl pitches over the years, but that is about the limit of my experience. I have technically owned a couple of Mantic Games mats for Deadzone for about a year or so, but since I have yet to actually play Deadzone, all I have managed to use them for is as a backdrop for taking pictures of miniatures. Well, it’s officially time for that to change! Deep-Cut Studio has graciously agreed to send us one of their Space Hulk gaming mats for review, so here we go!